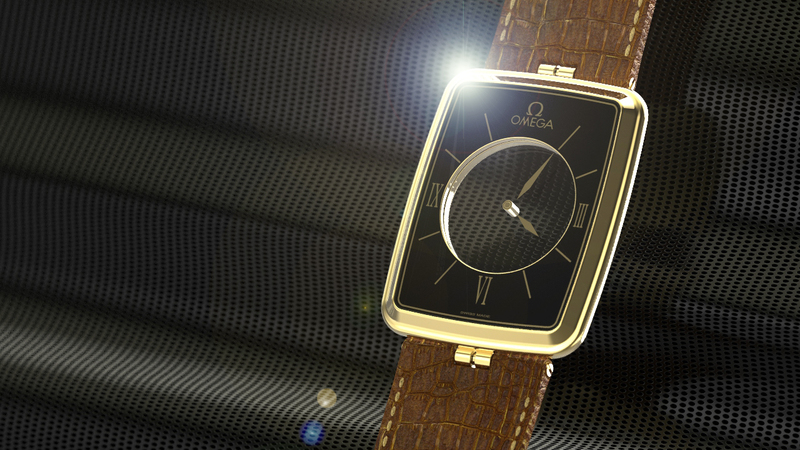 Described in Luxurious Magazine as, "The legendary Omega La Magique is amongst the thinnest watches in the world, 18k gold, and known in the watch collector circles as the 'Phantom Watch' as most collectors never get to see one in person." 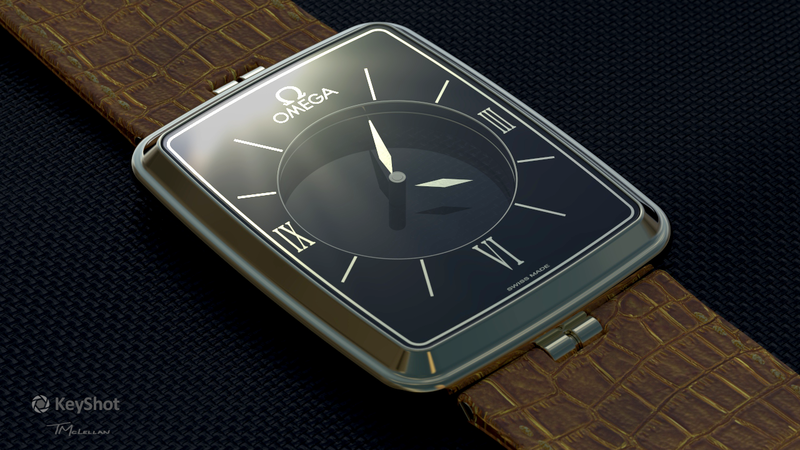 An amazing 2.6mm thin and a transparent dial center. 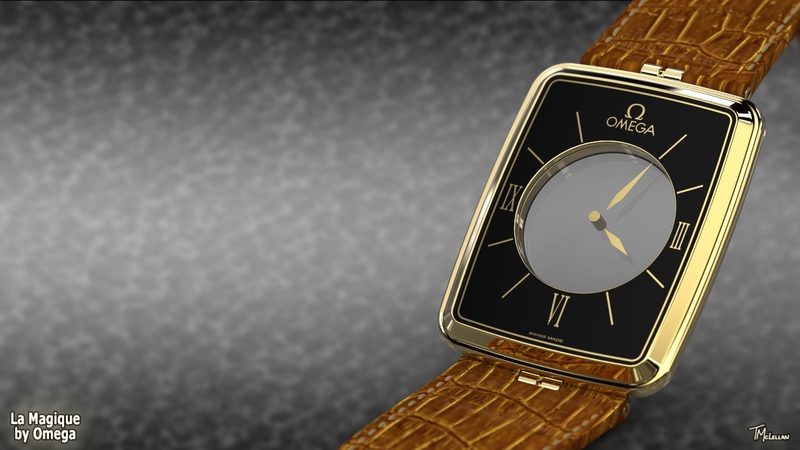 Luxurious Magazine continues with, "The opaque watch face allows you to see through the face with only the floating hands showing." Looks very nice. Now you need that extra layer of pop to bring it all together. Would really like to see this if you decide to work on it more. Thanks Tim - This watch is a classic and has a great story. I hope to get some more time to spend on it. 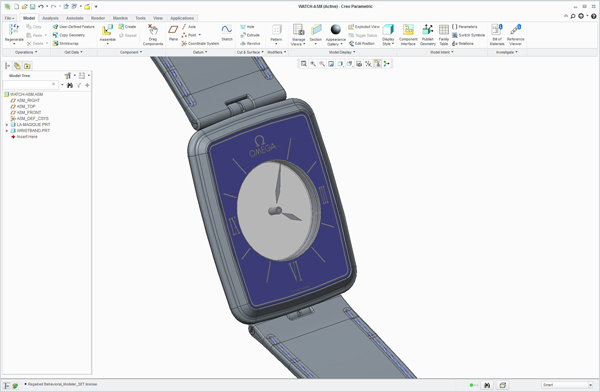 Could use some beefing up in the hands to have them attached, but a nice and elegant watch. CA, I am not sure what you are trying to say. The hands for this famous watch "float in thin air". Actually, there are two clear disk that the gold hands are painted on. The center is see through. Did I miss something? Indeed they are on clear discs, something I just saw on Google now thy you explain it. Update new straps and surface for background, no backplate, and minor post.